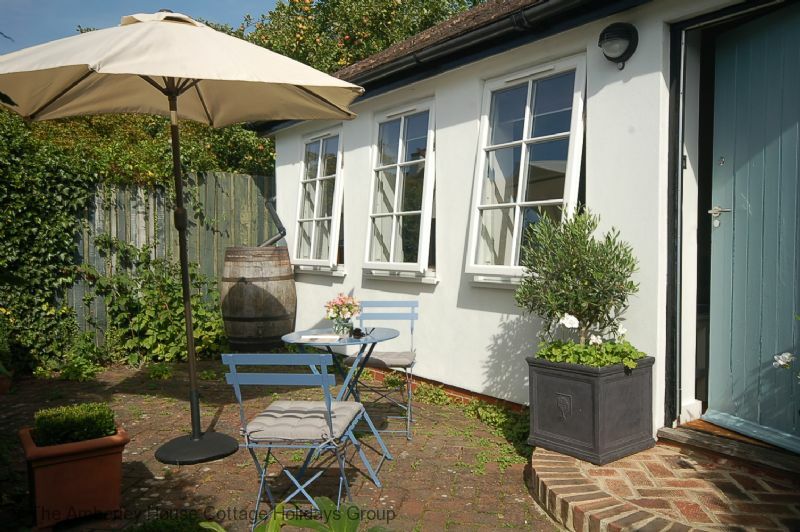 Bay Tree Cottage will provide all the comforts of home for a couple looking for a pretty cottage in this beautiful part of West Sussex, right on the edge of the South Downs National Park. The cottage, originally a workshop, has been cleverly converted by the owner, and now has a new lease of life as a holiday home. The front door leads into the living room and kitchen, which is flooded with light from west facing windows at the front. The windows overlook a mellow brick terrace, which is the perfect spot to enjoy a pot of tea after a walk on the Downs, or a glass of something as the sun starts to sink. The terrace is perfect for enjoying afternoon and evening sun. It is bounded by low box hedging and two lollipop bay trees that stand at the top of the garden, which slopes down from Bay Tree Cottage to the owner's house beyond. When staying at the cottage you have access to the whole garden, and the terrace by the cottage is exclusively yours. Back inside the cottage the vaulted living room ceiling creates an unexpected feeling of space and light. 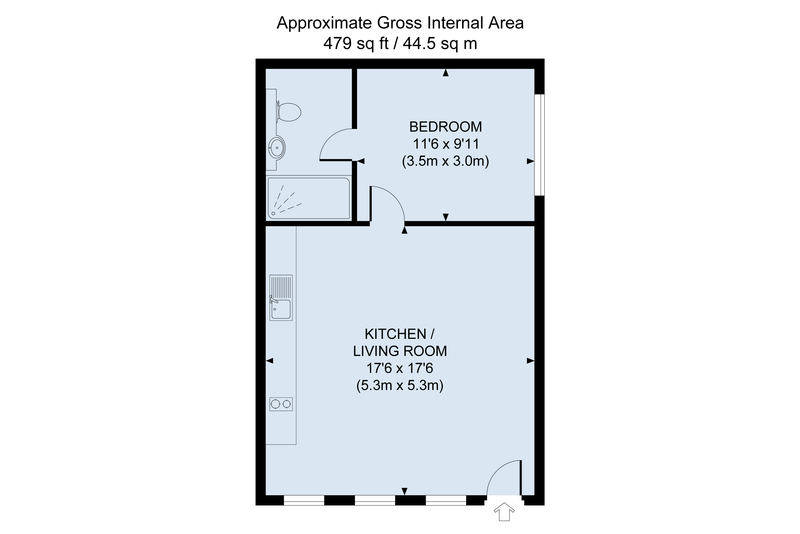 The kitchen area has an integrated washing machine, and is well equipped for producing meals with an oven, microwave and two ring electric hob. The dining table is by a window with views over the terrace and owner’s garden beyond. On the far side of the living room a door leads to the bedroom with its comfortable king size sleigh bed, and adjacent shower room. The shower is larger than average, with a small lip to the shower tray. There is also a ladder style towel radiator to ensure warm towels at any time of the year. Outside you have your own private parking space which is right beside the cottage. Storrington is one of the many small market towns and villages that sit at the foot of the South Downs. It stands at the mid-point and on one of the most beautiful sections of the 99 mile South Downs Way which runs through the country’s newest National Park, tracing its chalk hill spine from Winchester in the west to Eastbourne. 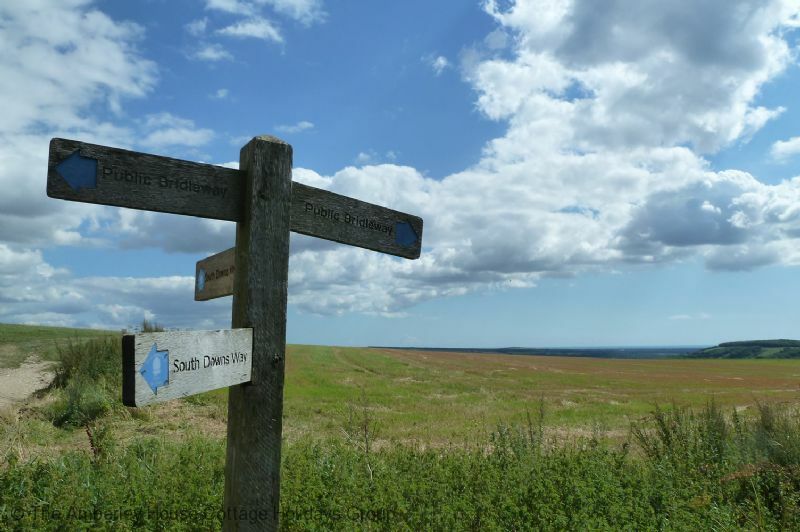 There are several ways to the top of the South Downs from Storrington, with footpaths close to Bay Tree Cottage leading to the top of Kithurst and Chantry Hills. For the less energetic there are roads leading to the top of the Downs both east and west of Storrington, with car parks once you reach the top. There are also numerous footpaths on flatter ground, so walkers and mountain bikers are well served. Storrington has a range of shops for every day needs, and a good selection of restaurants and tea rooms. Nearby there are traditional country pubs serving notably good food. Two miles from Bay Tree Cottage at Wiggonholt towards Pulborough is the RSPB Pulborough Brooks reserve. This is a wetland haven for bird life, and an overwintering ground for many migrant species. Chanctonbury Ring atop the Downs just three miles to the east was originally an Iron Age hill fort. It is most famous though for the ring of beech trees planted in 1760 by Charles Goring. The great storm of 1987 ripped through the ring and, following a second storm in 1990 the Goring family replanted the trees. Today Chanctonbury Ring is regaining its former glory. 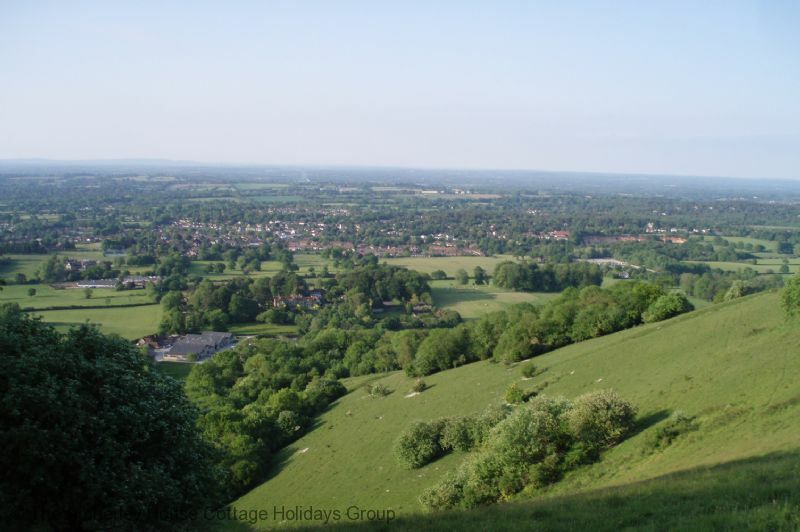 At 780 feet it has fine Downland views in each direction. 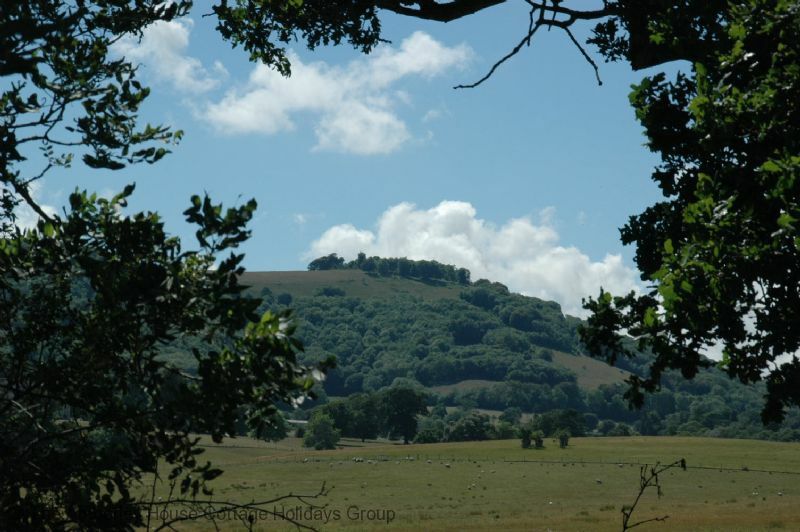 Walk three miles to the south from Chanctonbury and you will reach Cissbury Ring which is one of the greatest prehistoric Iron Age hill forts in the country. On a clear day you can see the white cliffs towards Beachy Head to the east and the Isle of Wight and Chichester Cathedral spire to the west. 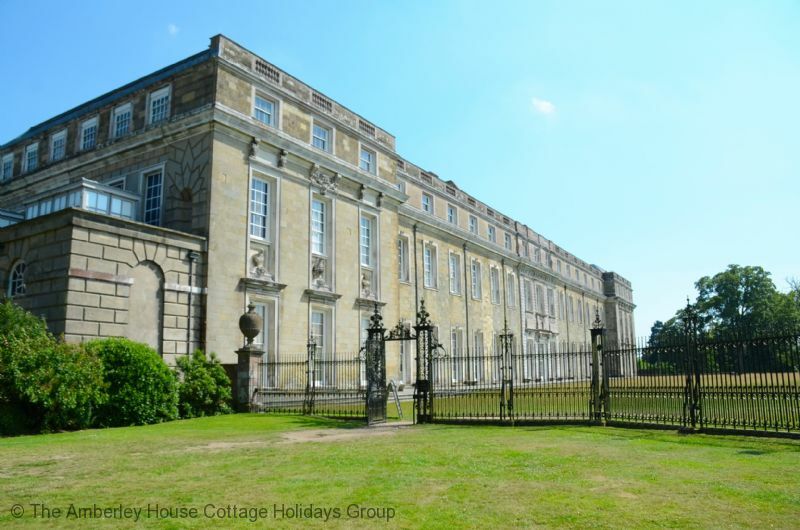 Parham House just west of Storrington is a magnificent Elizabethan country house with beautiful formal gardens and open parkland. 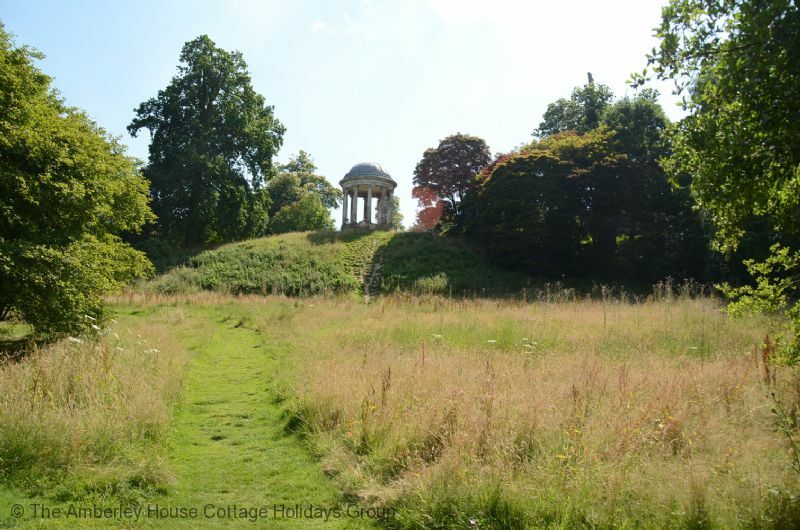 During the year Parham hosts a number of popular house and garden weekends. South Downs Gliding Club operates from an adjacent grass airfield. It is only a short drive to the coast from Bay Tree Cottage. 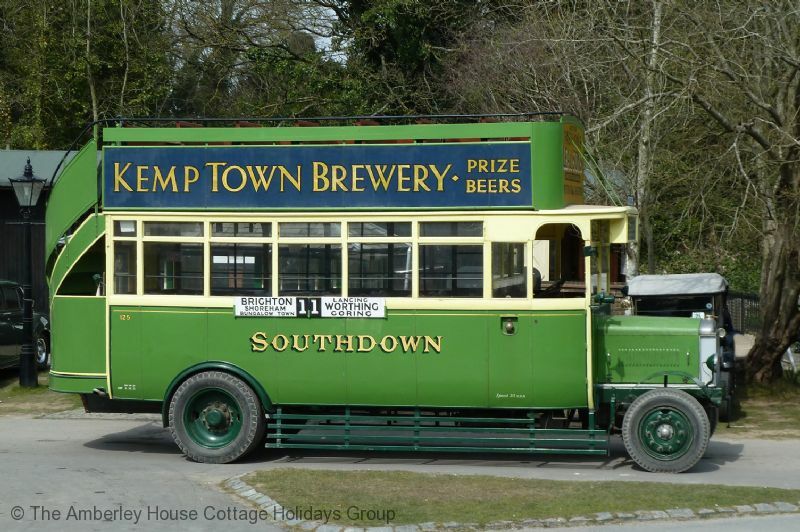 Head due south to Worthing or take the road over Bury Hill to Littlehampton, Climping or Bognor Regis. Bay Tree Cottage is an ideal base from which to enjoy the county’s internationally famous sporting and cultural highlights — Goodwood’s two motorsport events, the Festival of Speed and the Revival meeting, and of course Glorious Goodwood, the summer horseracing festival run on the loveliest race track in the land. Summer also brings the drama and fun of arts festivals held in Arundel, Petworth and Brighton. Chichester too has an arts festival, as well as its world famous Festival Theatre, and at Pallant House one of the country’s finest collections of modern British paintings. 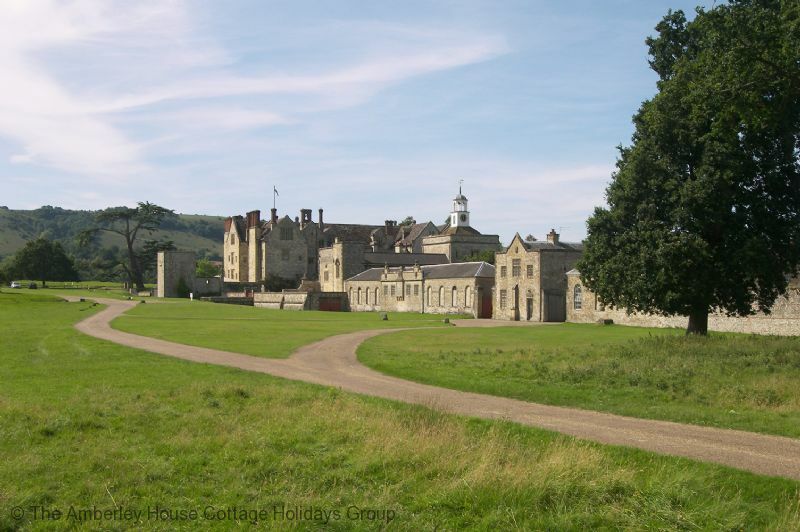 For lovers of stately homes Arundel Castle, Petworth House and Goodwood House are all within a short drive. "What a superb find with Bay Tree Cottage. Clean, modern and very comfortable. It had everything you could need. Great location for walking the South Downs. You have your own car parking space, your own separate entrance and a patio to sit in if needed. Once inside it has a lovely feel. Light and airy. The kitchen is well equipped with tasteful gadgets, no cheap stuff here. The bed was lovely and comfortable and the bathroom was modern with a walk in shower. Just lovely. I will definitely go back as I feel it is value for money and a great find." "Everything about the cottage was perfect and the location was excellent, with easy access to the Downs, coast and other villages." "A beautiful fresh cottage near beautiful places. 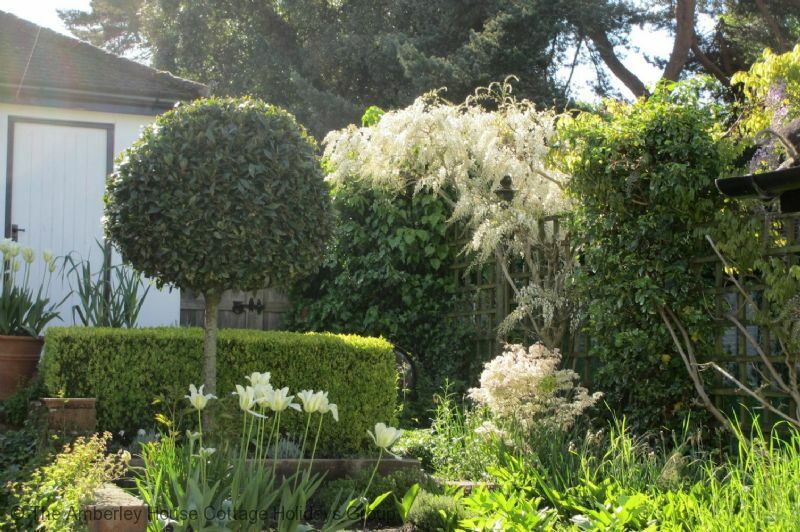 Beautiful garden, privacy and possibility for a talk or dinner (highly recommended)." "A well equipped and very comfortable cottage which was spotlessly clean. The cottage is a short walking distance from the village centre. " "This was our second visit to Shona's as we loved the location, the cleanliness of the property & the helpfulness of the owner, Shona. A most enjoyable 2 weeks." Bay tree cottage is a delight. 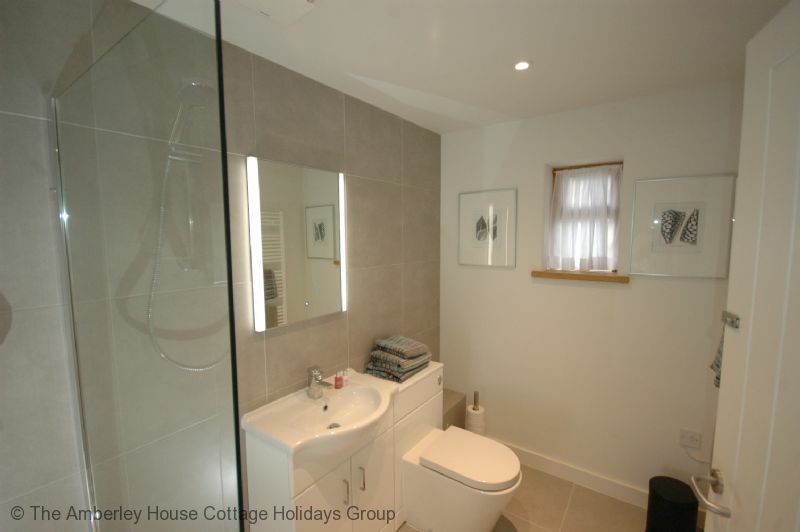 "Bay Tree Cottage is very spacious, homely and comfortable. There are many extras above and beyond what you would expect for a self catering property ( especially the home made biscuits and marmalade) It is also very well equipped, spotlessly clean, with a lovely outside sitting area for when weather permits. 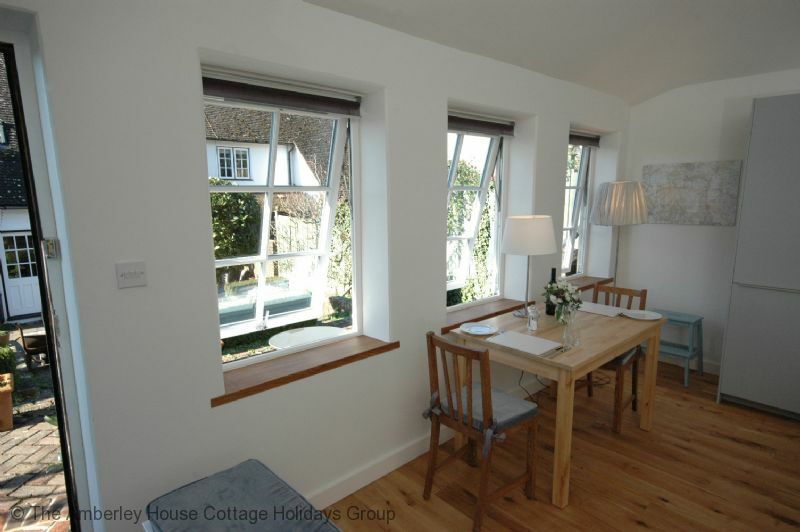 Would happily recommend Bay Tree Cottage." 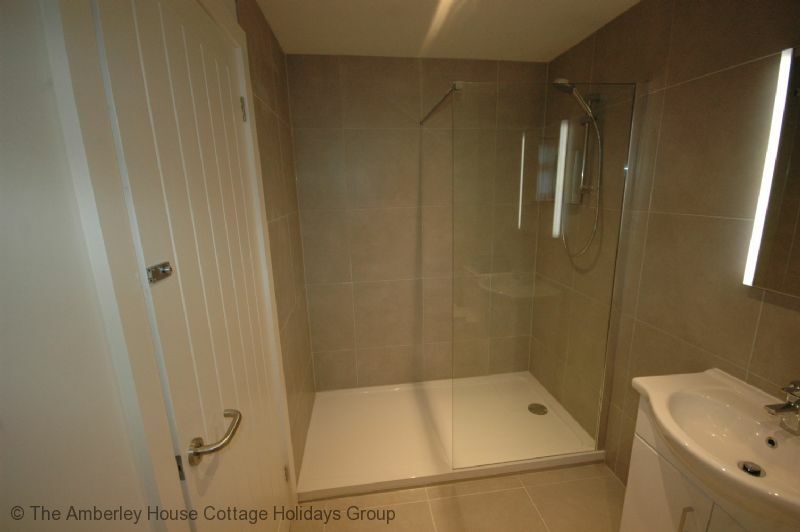 "We found Bay Tree cottage most comfortable with every amenity you could wish for. Comfy bed and excellent bathroom. The cottage was extremely well placed for all the places we wanted to visit, in fact we wished we had stayed longer than a week. Shona was a most welcoming and friendly host and so very interesting to talk to. 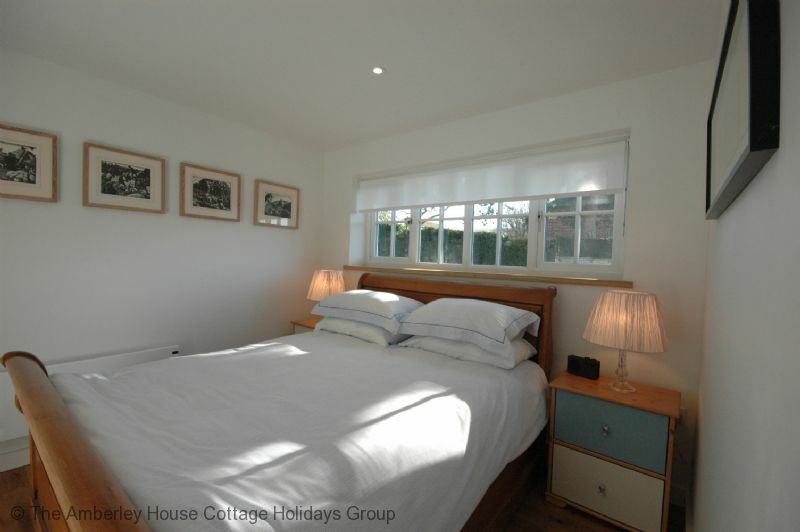 Would recommend this cottage without hesitation." We visited family in the area. This was a good central location for our activities. "The cottage had everything that was needed for our stay. The kitchen was well equipped, the the bedroom comfortable and quiet. It was the best place for us. Our hostess was welcoming and informative. (Thank you for the cookies.)" "We were warmly greeted by the owner and felt very comfortable here. Furnished to a very high standard and situated in an ideal location, it was the perfect setting for a wonderful holiday whatever the weather. The icing on the cake was that the owner, an accomplished cook, offers a varied menu which she will cook for you. We took advantage of this on our last night and we were not disappointed. " 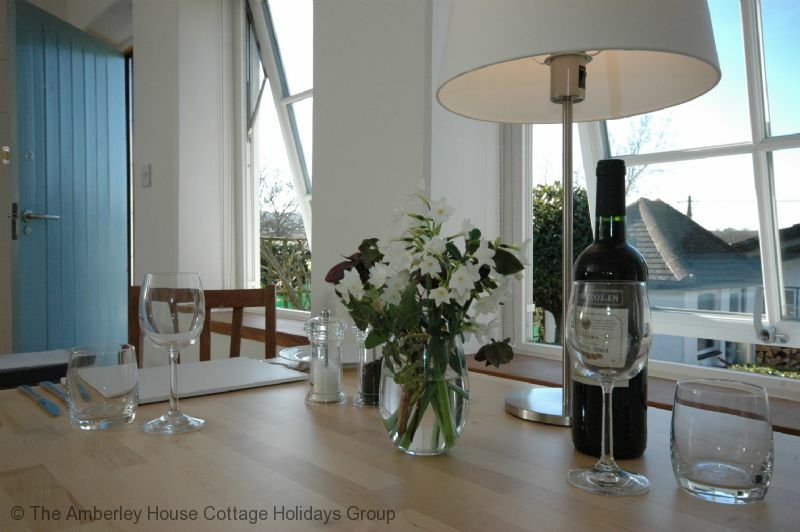 "Bay Tree Cottage has been well thought and a small space used extremely well giving a very comfortable place to stay. It was fitted out to a high standard throughout. It was in lovely and quiet location. There was easy access to the South Downs for walking, a short drive from Arundel and an easy walk from the town of Storrington. Shona was welcoming and clearly took great care to make sure her guests have the best stay possible." "A comfortable cottage for two with everything you need, including a table and chairs outside. The owner is very friendly and helpful but also discreet. She does provide lovely evening meals if ordered in advance although there is one pub in walking distance. Otherwise a car is necessary. " 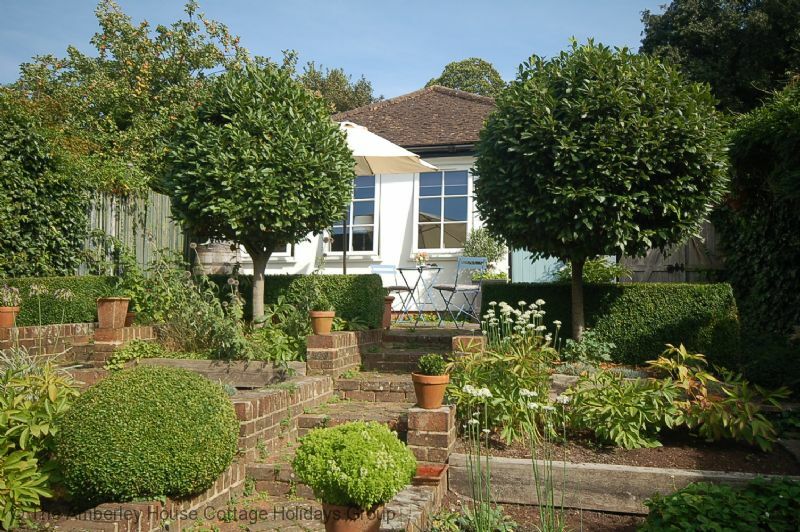 "Bay Tree Cottage proved to be an excellent choice for our particular requirements enabling us to travel into London (from Pulborough Station) on two occasions, visit parts of West Sussex we had only previously driven through and enjoy some walks on the nearby South Downs Way. The cottage itself is ideal for two people and Shona Partington is an excellent hostess offering the special facility of lovely home-cooked food brought to your own dining table. Hope to visit again." A wonderful base for exploring the chalky downs. 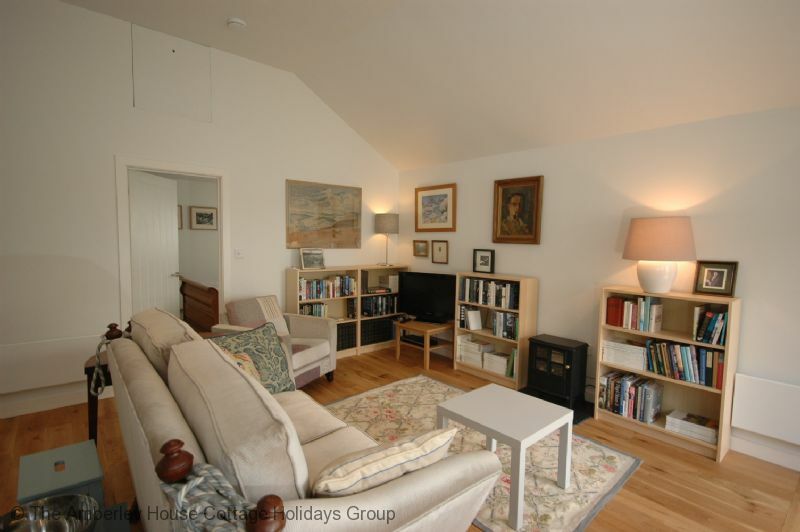 "Bay Tree Cottage is very well laid out and equipped. A dining table is located beside south facing windows with views into the garden and the downs beyond. There's also a small dining table out in the garden. The kitchen and adjacent sitting areas are well equipped. The bedroom has a large, comfortable bed and generous natural light, plus an internet radio. Ensuite bathroom has a large shower and heated towel rack. All linens, appliances and kitchen wares are very good quality. The owner (Shona) may also be able to cook you a delicious meal if you make arrangements a day or two beforehand - highly recommended. Storrington is pleasant although not the most picturesque of villages, but in practical terms it has everything you'll need; a large supermarket, local butcher, and variety of restaurants and pubs. It also has good access to public transportation, which was important to us because we choose to travel without a car. Nearby Pulborough is easily accessible by train from London (and Gatwick airport), with good bus connections to Storrington and other towns and villages. 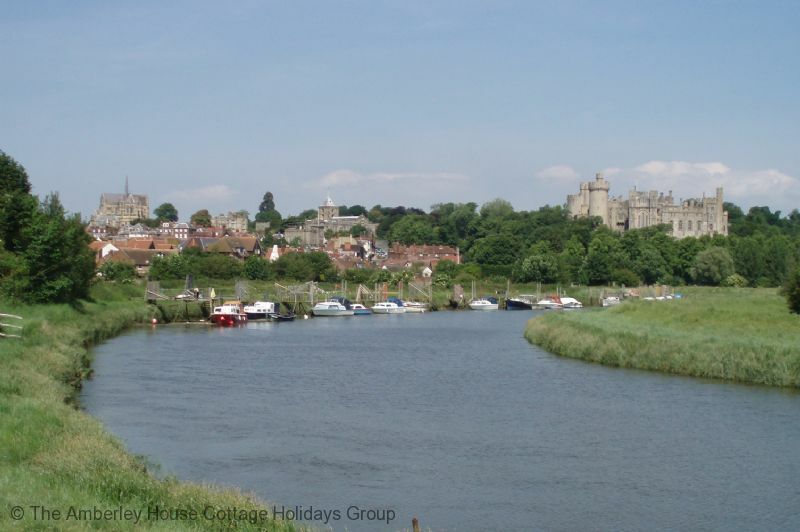 We used public transportation to easily access a week's worth of great walks from Arundel, Amberley, and Petworth etc. There are also walking trails leading to the hills just down the street from the cottage. 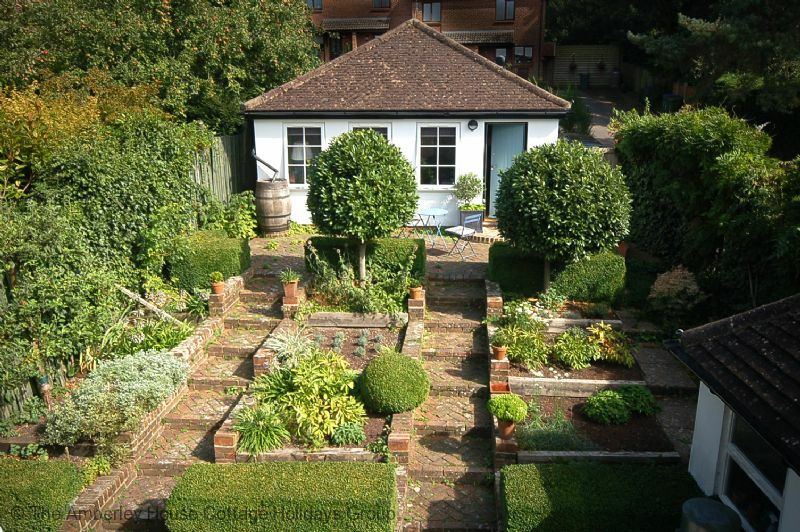 Leave your car behind, and explore the downs in style from Bay Tree Cottage!" "Bay Tree Cottage provides excellent accommodation for 2 people - it is homely, extremely well equipped and very comfortable. Shona was a very good hostess - there when needed, always happy to answer questions and chat, but leaving us to relax too. Shona is also an excellent cook and provides a "must try" menu. 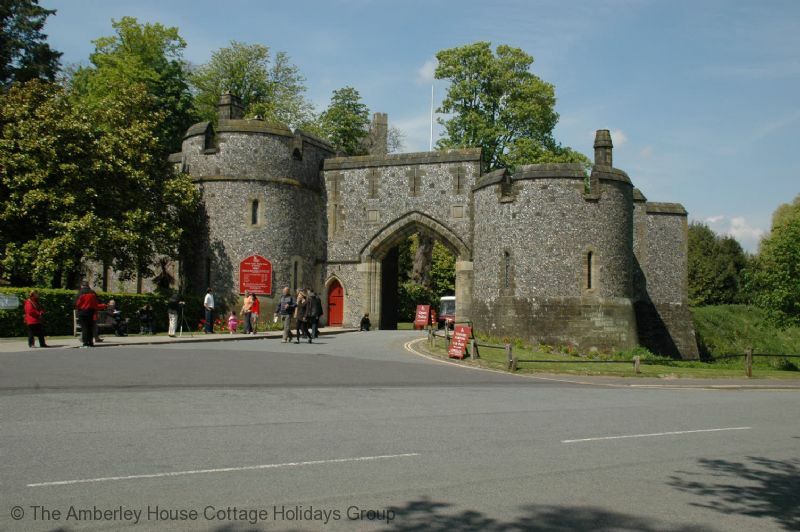 The South Downs and its lovely towns, villages and other attractions are all within very easy driving distances. 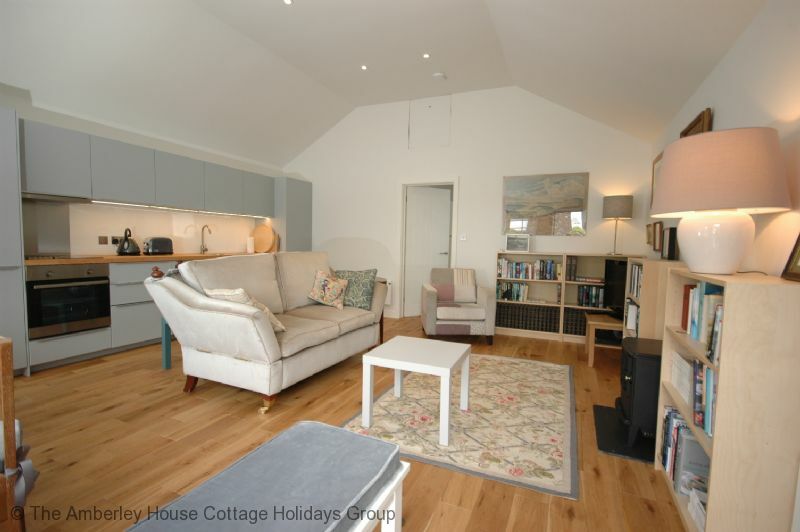 Bay Tree Cottage is unreservedly recommended." Excellent location for exploring the SouthDowns. We particularly liked it for our birding interests. "The cottage was exceedingly comfortable and the host was very welcoming. Wonderful meals can be provided too. It is a quiet location with no through traffic but in wslking distance to the lovely village of Storrington, which has all the services you need. We cant wait to return when over in this country again. Top spot." 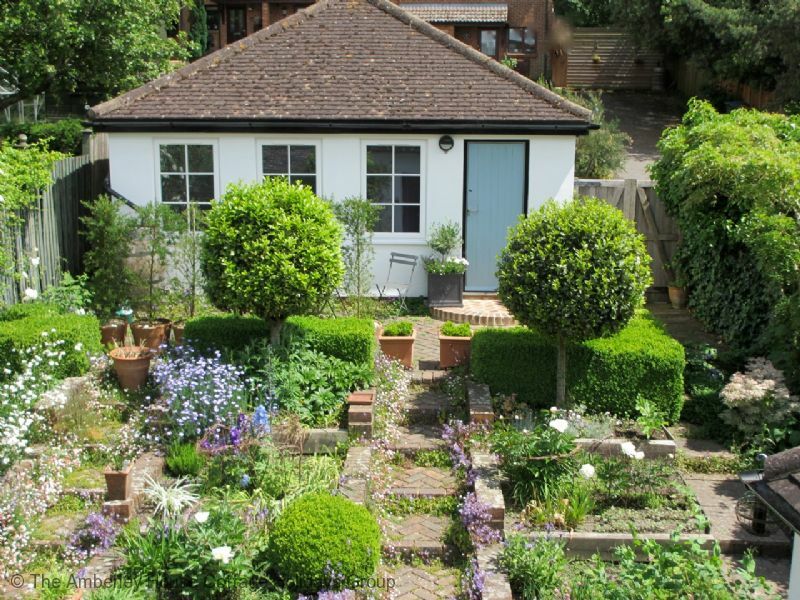 "Bay Tree Cottage was exactly what I wanted while I sorted out personal details prior to emigrating. Close to local primary routes for car journeys, and near a good train service for trips up to London. Peaceful, quiet and comfortable when I wanted to stay in and sort out paperwork etc. Everything clean and well presented, making for a relaxing stay, with lots of items included to make life easy. Shona is very kind and considerate, and is an excellent host. There whenever needed, but quietly in the background at other times. I am due to come back to UK late summer 2018, and will book Bay Tree Cottage as my base for the whole of my stay. Could not be better. " "Nothing to fault from this beautiful cosy cottage for two with parking and views across to distant hills. Storrington has all the day to day shops you could need and a variety of restaurants to suit all budgets. 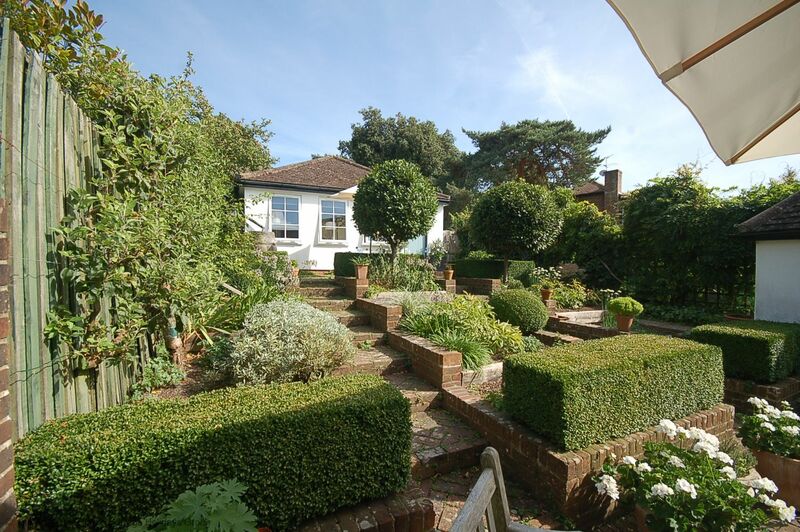 Location for accessing Brighton, Arundel, Worthing and all coastal spots is ideal as well as the South Downs Way. Owner on-site but respectful of privacy and very willing to advise on local places of interest and if you desire will cook a gourmet meal and serve in the cottage for you. A perfect place for a few days R + R,"
"what a nice, quiet week in Sussex! If you need an property without faults, book this wonderful cottage. We like it." "Our hostess greeted us with such warmth and ensured we were comfortable and settled in. Everything we needed was at hand including a thoughtfully put together information pack. Perfectly equipped, tastefully decorated and in a truly beautiful part of the world, we simply could not fault our stay at Bay Tree Cottage." "We only wished we lived in the UK because we would be staying here regularly. During our frequent trips to the UK we have stayed in a wide variety of cottages and we would rate this as one of the top 3. Shona cooked a meal one night and we believe it was equal to many top restaurants. All in all a delightful and restful experience." "Bay Tree Cottage is a lovely place to stay, very convenient for both The South Downs and the coast. The owner is very obliging and nothing is too much trouble. The owner is meticulous to detail. 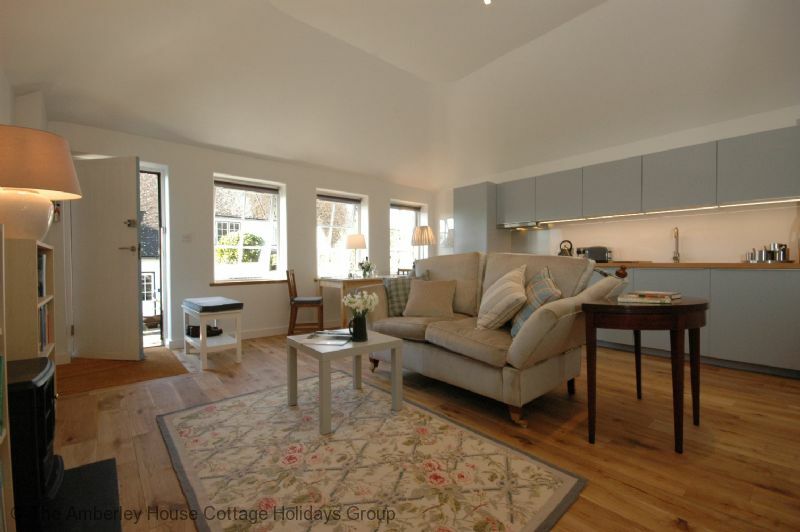 The cottage is very well equipped and has all information for the appliances." "Bay Tree Cottage is really the perfect place to stay. Everything possible is done to make you comfortable and it is full of thoughtful extra touches. It is stylishly decorated and looks beautiful. The garden is delightful and the owner is wonderful - so friendly and hospitable, but at the same time respectful of your privacy. If you take the chance to taste her amazing cooking, you'll never forget it - she's absolutely in a league of her own. I can't recommend it highly enough."